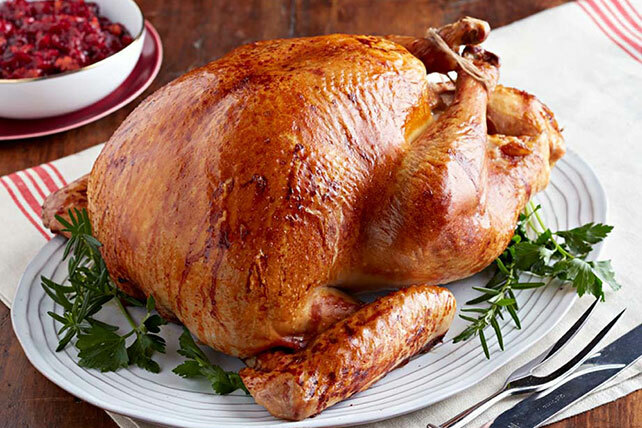 Find out just how delicious a turkey can be with our Garlic-Herb Brined Turkey recipe. Our Garlic-Herb Brined Turkey gets its delicious flavor from a combination of rosemary, parsley, garlic and zesty Italian dressing. When brining, select a fresh turkey or one that has not been injected with a solution, or the turkey and drippings will be too salty. For a crispy skin, avoid basting the turkey for the last 30 min. of the baking time. For extra flavor and moisture in the cooked turkey, place a stalk of celery and/or cut-up apple in the turkey cavity before baking the turkey. The turkey neck and giblets can be used to make soup stock or gravy. If unable to use within a few days, freeze until ready to use.